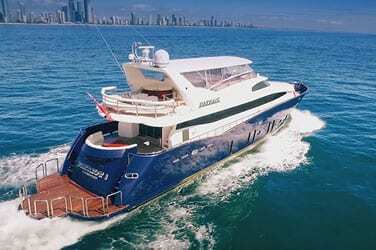 Phoenix One offers four spacious staterooms all with ensuite, providing superior comfort on the high seas for up to eight guests overnight. 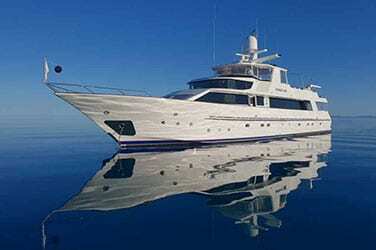 Each stateroom is equipped with deluxe natural amenities from Linden Leaves, bathrobes and slippers. Located aft with access from the main saloon, the Master Stateroom runs full beam creating a spacious retreat with a luxurious Queen bed, day lounge and impressive timber finishes throughout. The ensuite is fitted with high gloss timbers and dark marble tiles offering dual basins and a bath for relaxing after a day of adventure. 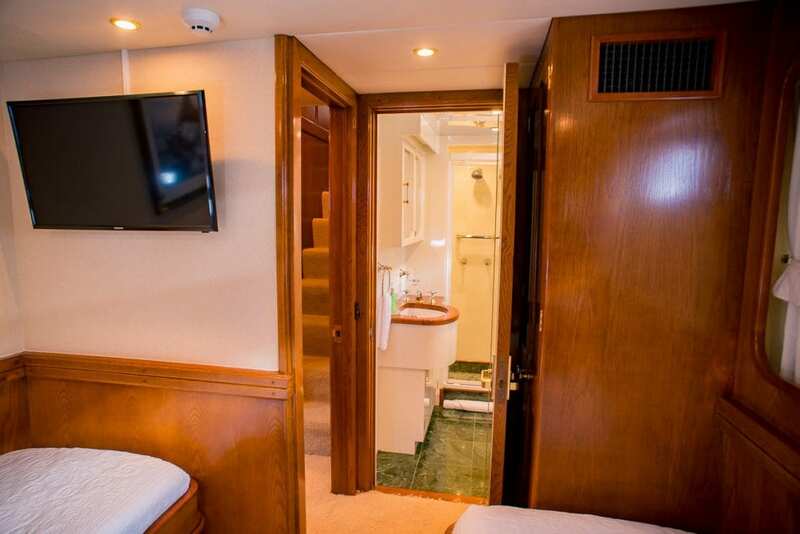 Complete with a flat screen TV for relaxed viewing and iPod connective entertainment system, the Master Stateroom creates secluded comfort. 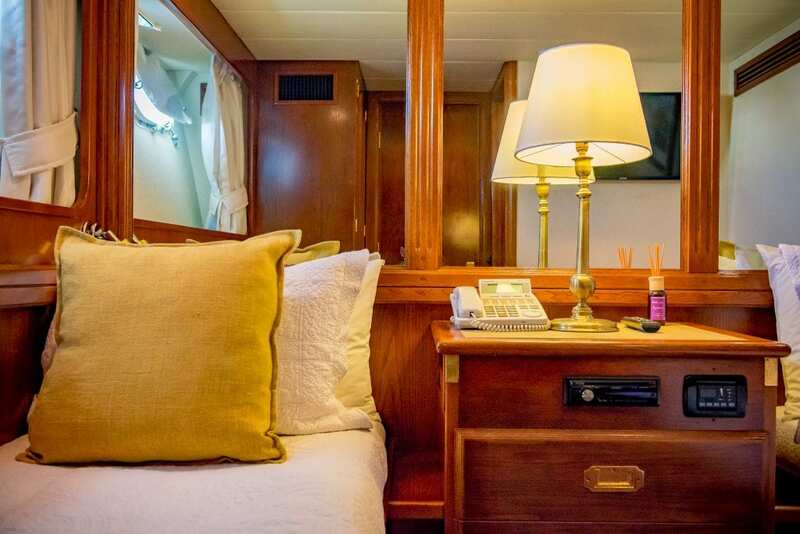 Located forward on the main level, the VIP Stateroom is spacious, light and airy with a generous King bed, flat screen TV, CD/radio entertainment system and writing desk. With ample storage space you can stay for the week with ease. 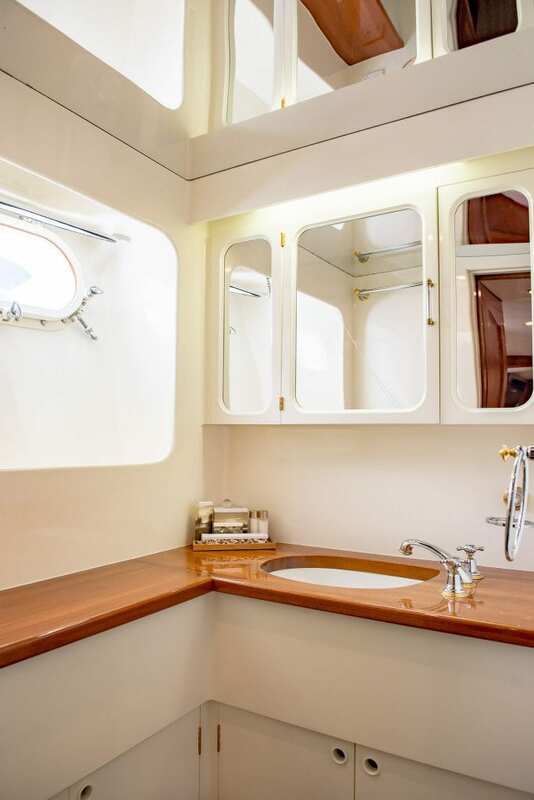 Completed with a large ensuite featuring beautiful marble tiles and mirrors throughout, the VIP Stateroom offers relaxed comfort. 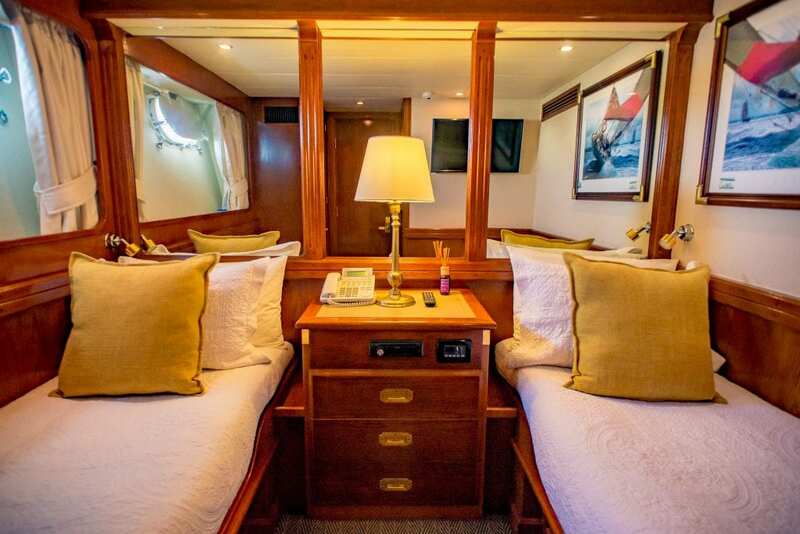 The Double Stateroom located portside on the lower level features a comfortable double bed, dark timber finishes, flat screen TV, CD and radio entertainment system and spacious ensuite. 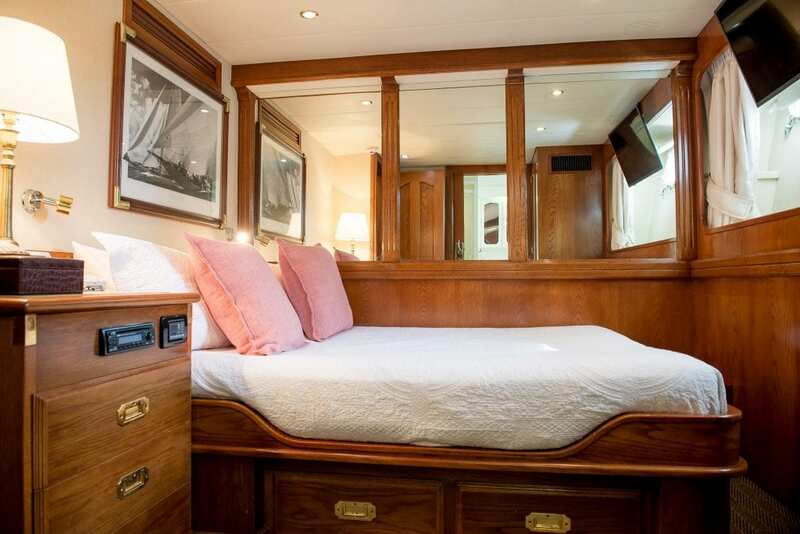 The Twin Stateroom located starboard on the lower level features Twin Single Beds, dark timber finishes, flat screen TV, CD and radio entertainment system and spacious ensuite.